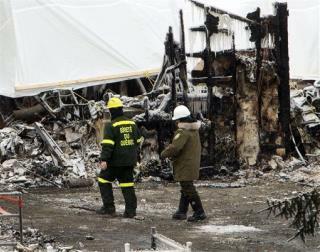 (Newser) – Work crews have resumed the grim task of searching for ice-covered bodies in the wreckage of a seniors' residence in Quebec, where a blaze is believed to have killed more than 30 people. Search teams working in bitter weather conditions are using hot air to melt more than 20 inches of ice and find the 22 elderly people still listed as missing, reports the Montreal Gazette. Ten people are confirmed dead. Is it my imagination, or are Winter fires more dangerous, than in other Seasons?